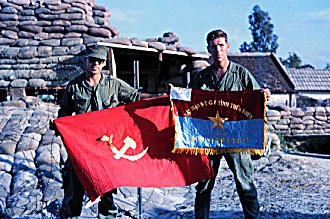 Attached is a photo of two members of CAP 6&9 with captured flags. Maybe someone will be able to ID these two [CAP Marines]. Flags were turned in to CAP Hq and never seen again.